Only about 30 percent of family-owned businesses successfully pass to the second generation. SJU is looking to change that statistic. The Bernier family at their company, ECBM: (standing, from left) Charlie Jr. and Brian, (seated) Joanne and Charlie Sr. Balancing the demands of raising three active boys while running a flourishing business, Charlie and Joanne Bernier impressed upon their children a key piece of advice: “Find something you enjoy doing, and make a career of what you love.” Charlie is the president and CEO and Joanne is the licensing coordinator of ECBM, their independent insurance broker and consultant company based in Conshohocken, Pennsylvania. Today, the three grown Bernier children, Charlie Jr., Brian and Matthew, are following their parents’ advice — with one twist. They’re making careers alongside people they love, as key partners in what they now call the family business. “When the boys expressed interest in the company, I really didn’t have a plan,” says Charlie Sr., who took control of ECBM in 2001 after working for the firm since 1984. A veteran in the risk management industry, he had asked each son to present a plan before joining the business — to pitch how their professional experience might contribute to the company and reveal skills they might still need to acquire. He was unsure of how the involvement of this second generation would change the company’s trajectory. “I still work actively in the business, so stepping back to work on the business can be challenging,” he says. With the recommendation of peer CEOs and business owners, Charlie Sr. turned to Saint Joseph’s Initiative for Family Business and Entrepreneurship (IFBE), Philadelphia’s only university- based program that provides support and guidance in navigating the complexities of building, growing and transitioning family enterprises through generations. The Berniers worked with Meghan Juday, IFBE board member and lead consultant, and Mary Nicoletti, IFBE director, to discern the process of defining themselves as a family business. They conducted a proprietary assessment review, which involves a family perception survey completed by all family members, including spouses and other key advisors. “We work with each family on a personal level — getting to know their needs, priorities and pace of change — so we can help them develop a strategic direction,” Nicoletti says. She and her team set a number of goals for the Berniers, including the establishment of a formal family meeting structure and a shared value statement. “The IFBE forced us to stop, refocus and look at the long-term,” Charlie Sr. says. In August 2016, the family held its first official meeting, with an agenda and format created by Joanne. They also reviewed the ways ECBM had changed since the addition of the second generation of Berniers and discussed potential future possibilities. With a background in private equities and cost management, Brian, now a vice president, led ECBM into the realm of employee benefit management. Today, due to his analytical approach, the company does a significant amount of business in this area. Charlie Jr., the oldest, whose background is in law, joined ECBM in 2013 as the principal professional liability consultant and in-house counsel. His wife, Brynne, is ECBM’s digital marketing consultant. Charlie Jr. has introduced cyber insurance, a rapidly growing field, to the company’s portfolio, and he has taken on more of a leadership and managerial position with the firm. Charlie Sr. has no interest in stepping away anytime soon, but as he moves on from some tasks as CEO, Charlie Jr. will step in and carry his legacy. Not yet employed by the firm, Matt, the youngest, is an associate vice president and client manager for Marsh, a global risk management and insurance firm. The only son to begin his career in insurance, he’s involved in family meetings and discussions about the company’s future, and looks to join the team someday. “SJU coming into the picture has helped me see my dad’s vision even though I’m not there on a daily basis,” he says. Colleen Sabatino ’11 (M.A. ), Associate Director of University Communications at SJU, covers the Haub School of Business. IFBE members range from first generation, single family member start-ups to long-established, multiple generation enterprises. 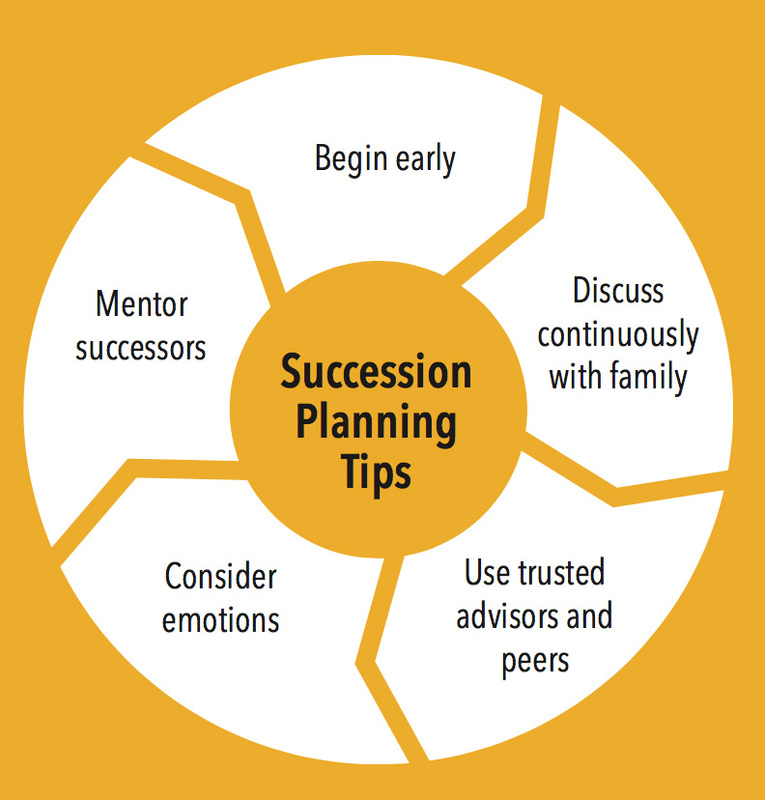 Programs feature topics most relevant to family businesses, such as family conflict, governance and succession.